In June 2013, IMDEA Software officially became an Associate Partner of EIT Digital, as the first Spanish organization to enter its Pan-European network of seven full national nodes (in Helsinki, Stockholm, Berlin, London, Eindhoven, Paris, and Trento) and two associate nodes (Budapest and Madrid, located at IMDEA Software). 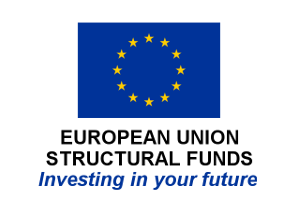 EIT Digital is a Knowledge and Innovation Community (KIC) of the European Institute of Innovation and Technology (EIT), which includes some of the leading educational, research, and industrial actors in the ICT innovation ecosystem in Europe. 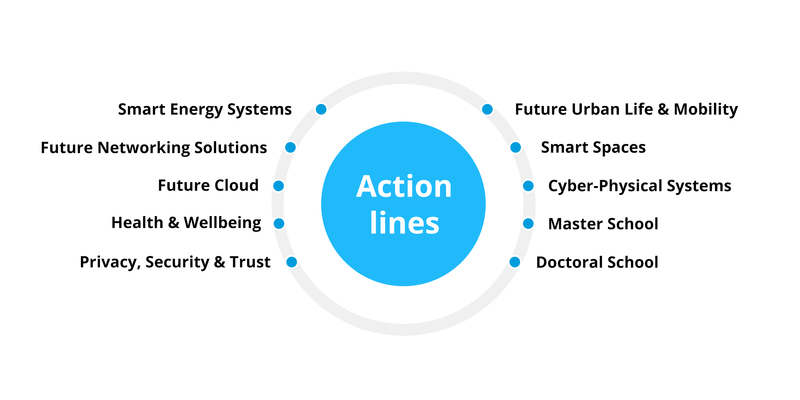 Its mission is to combine the educational, research, and industrial tools and activities to drive and foster ICT innovation on the European scale in the following strategic areas: Smart Energy Systems, Future Networking Solutions, Future Cloud, Health and Wellbeing, Privacy, Security and Trust, Future Urban Life and Mobility, Smart Spaces, and Cyber-Physical Systems. These areas are complemented by an integrated and innovation-driven Master and Doctoral School and a Business Development Accelerator. One of the key goals of IMDEA Software as the Spanish Associate Member is to promote, motivate, and organize the presence of EIT Digital in Spain, and to foster the evolution of the Spanish Associate Partner Group (APG) – which includes some of the most prominent players in the ICT innovation arena, such as Telefónica, Indra, Atos, the Technical University of Madrid (UPM), and the Barcelona Supercomputing Center (BSC) – towards a fully operational EIT Digital node. Together with these strategic partners, the Institute is working on developing innovation-oriented projects within the framework of EIT Digital, increasing its presence in Spain through interaction with regional and national governments, and boosting and creating synergy between the entrepreneurship initiatives and mechanisms led by the members of the APG and beyond. Three research and innovation activities in the fields of Privacy, Security, and Trust (project CADENCE), Cyber-Physical Systems (project cPAS), and the FI-PPP Liaison. More details are provided in Chapter 5. Further development of the Madrid Co-Location Center (CLC), hosted in the premises of IMDEA Software, which is the home for the EIT Digital activities and the meetings of the Spanish APG. The CLC is equipped with videoconferencing equipment that allows online collaboration, ample office space and meeting facilities, office space for start-ups, and work and collaboration areas for the students in the EIT Digital masters and doctoral programs. Development of the Madrid Business Development Accelerator (BDA) segment which is a part of the EIT Digital BDA network, a group of 50 specialists helping in bringing ideas to market and providing services such as coaching, access to finance, or soft landing, at a pan-European level. This has also included participation in and organization of events related to innovation and entrepreneurship such as, e.g., Spain Startup. Preparation for the launch of the EIT Digital Doctoral Training Center and the Master Program in Data Analytics in 2015, in cooperation with UPM, which is a part of the EIT Digital educational initiative that allows doctoral and master students to obtain not only a recognized technical education, but also entrepreneurial skills and the opportunity to work with European top research facilities and leading business partners.